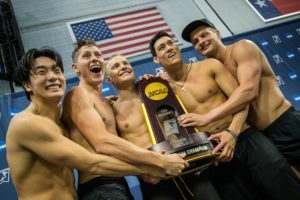 Until last year, the men’s 200 IM has historically been dominated by some of the sport’s major names – David Nolan and Will Licon specifically. Last year, however, the event became a toss-up with the arrival of Hugo Gonzalez, a maturing Andrew Seliskar, and the return of defending champion Mark Szaranek. In one of the most surprising performances of the meet, Florida senior Jan Switkowski – who finished 9th the year prior (though he finished 4th as a sophomore) – shocked the field to take the win in a time of 1:39.54: the 3rd fastest time in history. This year features the return of many finalists from last year – most of whom are products of the event’s broadened landscape. Next year will look radically different, however, as many of the fastest returners are seniors. Leading them is NC State senior Andreas Vazaios, the fastest returner from last year. He finished second to Switkowski in a time of 1:39.97, which made him the 4th fastest performer in history. Interestingly enough, Vazaios later went on to upset Switkowski in the 200 fly – as Switkowski was traditionally thought of as a flyer more than an IMer, especially given his long course accolades – to claim his first NCAA title. Vazaios is currently seeded 4th with a 1:41.36, which is from his runner-up finish at this year’s ACCs. Last year, he came into the meet seeded 10th with a 1:42.43, which was also from ACCs. 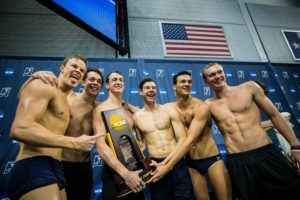 The NC State men, particularly those who have safely qualified for NCAAs, had an underwhelming conference meet despite securing the team title. This could suggest that they’re saving all their energy come nationals time, which would bode well for Vazaios’s time drop prospects. Former blue-chip recruit Andrew Seliskar, the #1 seed, has finally emerged as the versatile elite everyone expected him to be. 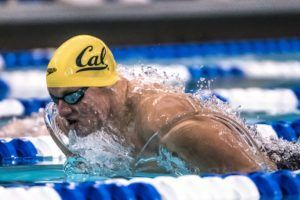 Representing Cal, the senior recently broke the Pac-12 record for winning the most individual titles, which included two conference titles in the 200 IM. Seliskar sits atop the psych sheets with a time of 1:40.53, making him the only competitor heading into the meet seeded under 1:41. His best time in the event is a 1:40.40 recorded during the preliminary heats of last year’s NCAAs. 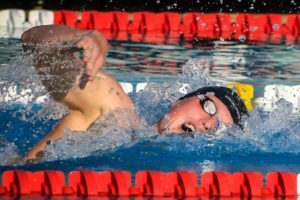 Although he was seeded first heading into finals, he would ultimately finish fifth overall. After making his first major international team this summer, however, Seliskar has looked like an entirely different animal throughout the course of his senior season. Currently seeded first in all three events he’s entered in (200 IM, 200 free, and 200 breast), Seliskar is in a great position to notch another first in his swimming career: win an individual NCAA title. Indiana is the only team that managed to claim two top-eight seeds in the 200 IM: seniors Vini Lanza and Ian Finnerty are the respective #2 and #6 seeds at 1:41.05 and 1:41.74. Both Hoosiers return as A-finalists from last year’s nationals. This season marks the first in which Lanza isn’t heading into NCAAs after achieving personal bests in all of his individuals at conference. To his credit, he dropped time in every single event at nationals last year, but perhaps we’ll see even bigger drops to cap off his career. Lanza is one of the four returners with a best time under 1:41 – his personal record of 1:40.82 from last year’s NCAAs earned him 6th overall. 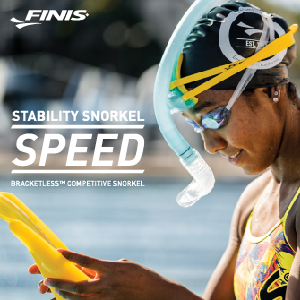 Ian Finnerty is primarily known as a breaststroke specialist – more chiefly as the American record holder in the 100 – but as of late, he has consistently demonstrated his mid-distance versatility. Not only is he a returning A-finalist in the 200 IM but he also anchored Indiana’s NCAA runner-up 800 free relay in 1:32.21. Just like Lanza, this is also his first season where he didn’t achieve all life-time bests at conference heading into nationals (although his 200 IM was in fact a personal best); perhaps he has also has some major room to improve on his seed time. 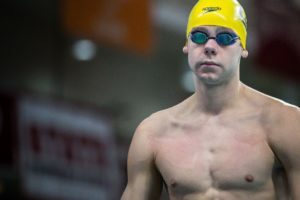 Georgia Tech sophomore Caio Pumputis has bursted onto the forefront of the national scene this season: he’s now coming into the meet as the #3 seed in the 200 IM with his 1:41.28 from ACCs, where he beat out Vazaios for the conference crown. 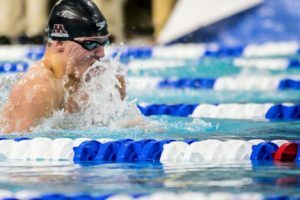 He qualified for nationals last year in the 200 breast – swimming the 200 IM as one of his secondary events, he placed 36th overall with a 1:45.54, a tenth off of his former best time. Now, in a dramatic shift, he’s seeded to final with an ‘A’ cut time. Although his NCAA debut performance was unimpressive, perhaps it speaks more to his advantage that he at least has some national meet experience under his belt. Whereas his seed time is likely the result of a full taper, he can probably afford to add time and still secure an A-final appearance. Andrew Loy, a junior representing Ohio State, sits at #5 on the psych sheet with a 1:41.36 from Big 10’s. 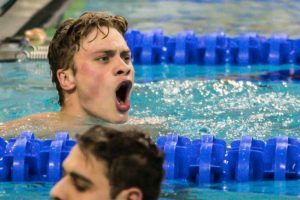 Primarily a freestyler, Loy picked up the 200 IM his senior year of high school. 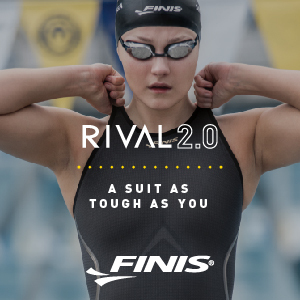 He would go on to win the 200 IM at the IHSA State Championships, missing the former Illinois state record by five one-hundredths of a second: an impressive feat given it was his first year swimming the event tapered. Three years later, he’s merely two one-hundredths off of the NCAA ‘A’ cut. OSU has historically prioritized performance at conference over NCAAs. Loy’s former best time in the 200 IM was a 1:44.24 from last year’s conference meet, so it’s reasonable to assume he went all in for Big 10’s on the taper front. Regardless of the potential problems with a double taper, Loy is a talent to look out for in the future, and this could be his breakout season. Similar to Pumputis, Loy has never made a final at nationals, but has two years of prior experience under his belt. He swam a leg on OSU’s 800 free relay his freshman year, and finished 17th in the 200 free last year. 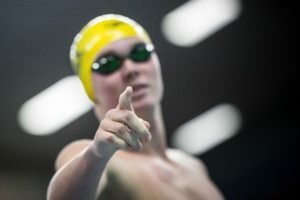 That placing was the result of about a half second add from his seed time – if he can further close the distance between his conference and nationals performances, his first finals appearance could be in the A-final. This season could be a special one for Longhorn senior John Shebat, as it could mark the first time in which he swims three individual events at NCAAs. 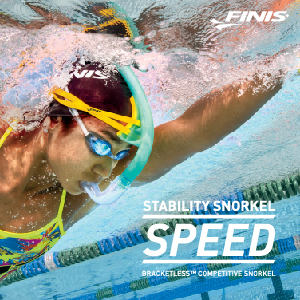 Instead of the third being the 50 free or 100 fly, it could be an entirely new event for Shebat: the 200 IM. Through the regular season, he frequently swam the 200 IM in dual meets, as well as at both his midseason and conference meets. Shebat is currently seeded at #8 with a 1:42.43. Though he’s slightly off of the 1:42.1 it took to make top eight last year, he posted 1:45s in a couple dual meets, consistent with what Vazaios and Seliskar put up in speedos. Given his track record of showing up at NCAAs despite widespread doubt, Shebat could prove a major threat in this new territory, granted that he doesn’t end up scratching the event. The only swimmer not seeded within the top eight on this list is Stanford senior Abrahm DeVine, and for good reason. He’s the 10th fastest performer in history in the event with a 1:40.55, finishing 4th in last year’s final, not to mention he’s been USA’s number two in the long course version of the event for the past two years. 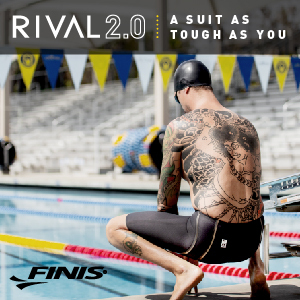 DeVine’s primary weakness in the 200 IM is that its too short for him, illustrated by the fact that he’s the #2 all-time fastest performer in the 400 IM, as well as his successes in the big pool. On a peculiar note, he’s entered in the 100 free instead of his usual 200 back, possibly suggesting that he’s been focusing on his speed this season. Bottom line: don’t be fooled by DeVine low seeds (he’s currently seeded #10 in the 200 IM with a 1:42.71), or surprised if he sweeps both IMs. Bolstered by his emerging international presence, the sky is the limit for the Cardinal senior. The primary question, however, remains whether there’s enough room in the 200 IM for DeVine to do his thing. Dark Horse: Indiana’s Mohamed Samy was relatively quiet at Big Ten’s, but has been on a tear throughout the regular season – consistently performing well dual meet to dual meet. His best time is a 1:44.10 from Indiana’s November invite, where he actually beat out teammate Vini Lanza by a couple tenths. If he’s on his game come nationals, he could very feasibly challenge for a spot in the finals. Vazaios might be the best underwater 200 swimmer under modern rules yet. Bold claim, sure. Impossible to prove, yes. But it’ll show up next week.